Thank you to the 35 SIUE alumni volunteers for your support, time and effort making the 2018 Meridian Scholars Day a huge success. More than 600 prospective student applications were reviewed by the selection committee for our prestigious Meridian Scholarship. 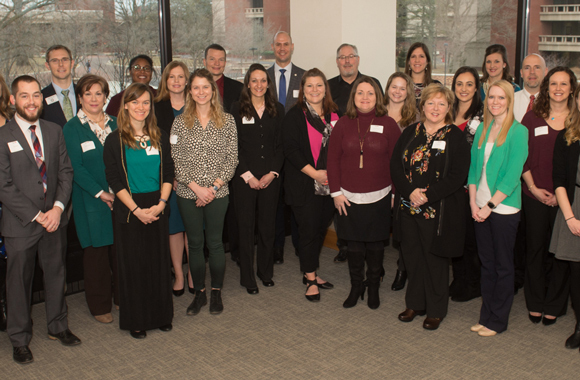 The selection committee invited 160 candidates with outstanding academic potential to interview with alumni, faculty and current students on Meridian Scholars Day. The diverse group of students represented 15 states and 142 high schools, and included four international students. They are interested in 48 different academic programs and represent the rich cultural diversity of the SIUE student body.